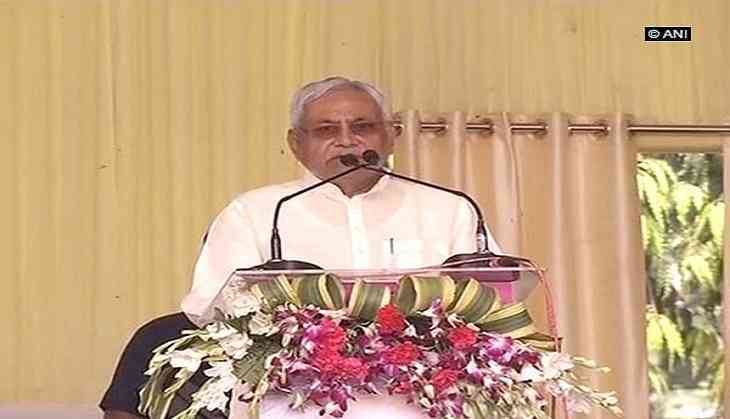 Bihar Chief Minister Nitish Kumar today came out in support of the demand for a constitutional amendment that could pave way for introducing reservations in job promotions. "We have always been for reservations in promotions. We had introduced this provision for the SCs and STs in Bihar. Our decision was challenged and struck down by the high court. Now, the matter is pending before the Supreme Court," he told reporters on the sidelines of his weekly Lok-Samvad programme. The chief minister was responding to a query on a statement by Union minister and Lok Janshakti Party (LJP) chief Ram Vilas Paswan that his party was planning to write to Prime Minister Narendra Modi for bringing in a constitutional amendment, which could facilitate reservations in promotions, while taking into account the conditions laid down by the Supreme Court in this regard. "If Paswan wants to take an initiative in this direction, we welcome it. The issue of reservation in promotions is a long-standing one and it needs to be debated in Parliament," Kumar said. Rubbishing the speculation that such a move could lead to a compromise as far as merit was concerned, the chief minister said there was nothing wrong in supporting a community which was grossly under-represented in a certain service at a certain rank. The JD(U) chief also reiterated that he was in favour of reservations in the private sector, "which is providing more jobs nowadays than the public sector", and that "the basis for introducing quotas cannot be economic backwardness, but social and educational backwardness, as has been elucidated in the Constitution". About the poor among the upper castes, the chief minister said, "They can be supported through measures like scholarships. We are doing that in Bihar. "But it must be understood that reservation is meant for the limited, though important, purpose of enabling the deprived sections of the society to avail of equal opportunities. The sole objective of the quota system is to create a condition, wherein every segment of the society will become a part of the social mainstream. Bigg Boss 11: Strong Rumour! Is liquor being served in the house? READ NEXT >> Bigg Boss 11: Strong Rumour! Is liquor being served in the house?